Angel’s Attic accepted a generous donation this week from PPL Electric Utilities, collected by their northeast regional employees. 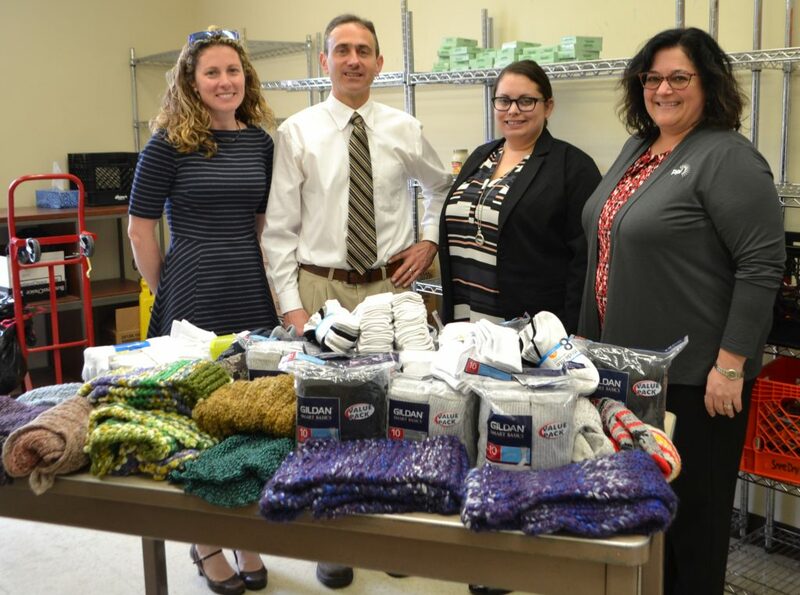 They donated 213 pairs of socks and 9 scarves to our clothing pantry. We are very grateful, especially since you can never have too many socks! Pictured from left to right: Alana Roberts, PPL’s Regional Affairs Director- Northeast; Gus Fahey, UNC’s Director of Community Services; Jessica Wallo, UNC’s Vice President of Programs & Services; and Meg Welker, PPL’s Senior Permitting and Regulatory Professional.